Tucked into a corner of St. Charles Square in North Kensington is a wooden door with ‘Carmelite Monastery’ inscribed above the archway. Surrounded by a very high wall, it is home to an enclosed order of Carmelite nuns. 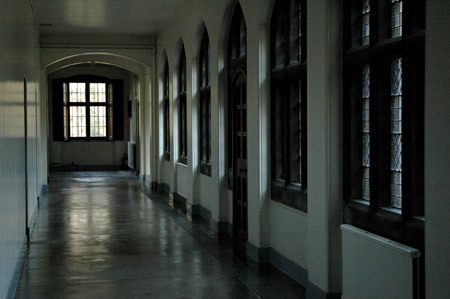 Michael Whyte gained permission to record the daily life of the convent and his documentary is the result of a project that extended over ten years. We are enabled to follow the sequence of the convent day from the wake-up call at 5.20am to the evening vigil at 9pm and the offices of the church centred in Holy Week and culminating in the celebration of Easter. Between services and periods of silent prayer, the nuns are at work: on their knees polishing the chapel floor, on-line ordering food from the supermarket and engaged in the different processes that go into the making of communion wafers from which their livelihood is partly derived. As they walk purposefully down the corridors in their black habits illumined by shafts of light from the high windows it is a truly medieval picture but we also see them with their habits tucked up, overalls on, at work in the garden, planting, harvesting and pruning recalcitrant shrubs with a noisy electric saw. I commend the way in which the film has been cut – solemn moments, like the burial of one of their sisters, are held for just long enough before there is a switch to something more everyday, avoiding all sentimentality. 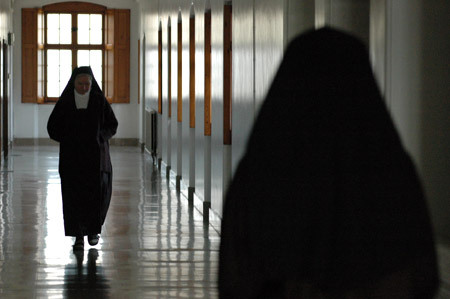 The inner life of the nuns is revealed in several interviews. 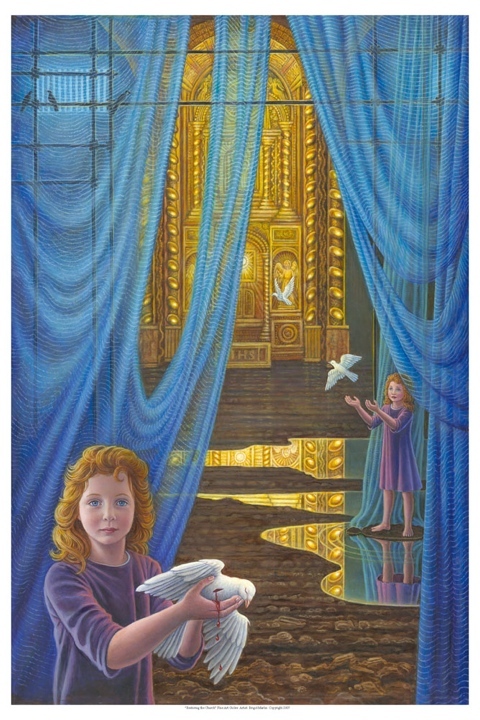 In one the Prioress explains very simply and touchingly that while still at college she could hardly wait to be ordained, but that it was18 years before she truly felt that God loved her as she loved him. She strives to describe her dark night of the soul as accurately as she can. There is something about the forthrightness of the nuns when speaking that belies their gentle demeanour and conveys the sincerity with which they speak of their experience. One can feel with them in the moment and that is particularly why I wish to see this film again.